Oblate Lenten Retreat Rescheduled for March 31 due to weather. God bless you! Stay safe and warm and know of the prayers of the sisters. 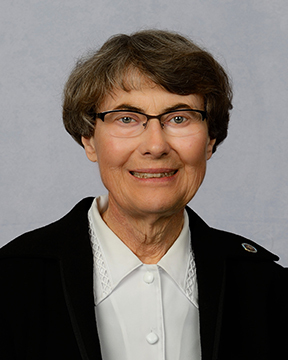 "Lent: Marked With the Sign of the Cross"
Enrich your Lenten journey with the Oblates of Annunciation Monastery and Sister Thomas Welder who will offer this year's Lenten Retreat. The retreat includes Mass with the sisters and a light lunch. There is no charge to attend. *Oblates are Christian women and men of varied faith backgrounds who associate themselves with a monastic community and live according to the Rule of St. Benedict as their state in life permits. Oblates are supported through monthly meetings, books and resources, and relationships with other oblates and the Sisters of Annunciation Monastery. If you would like to learn more about our Oblate Program, please feel free to contact Sister Patricia or Sister Rosemary at 701-255-1520.